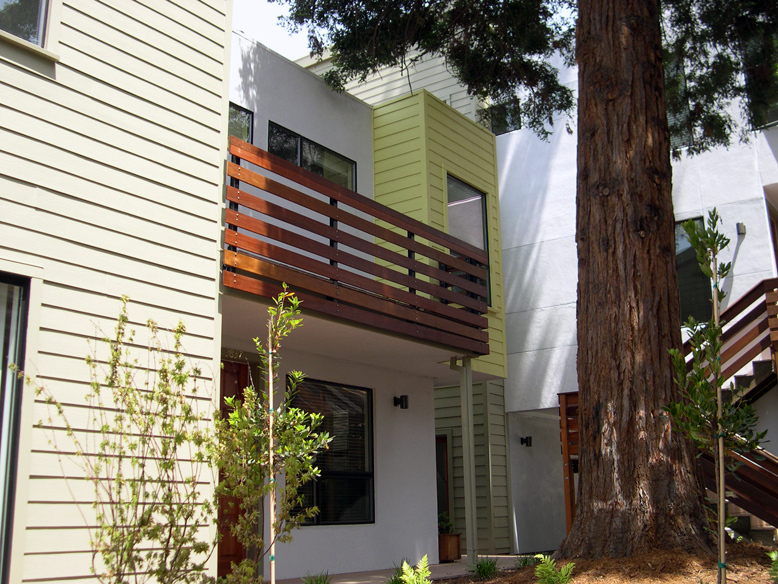 These four new cottage apartments are tucked behind an existing building. 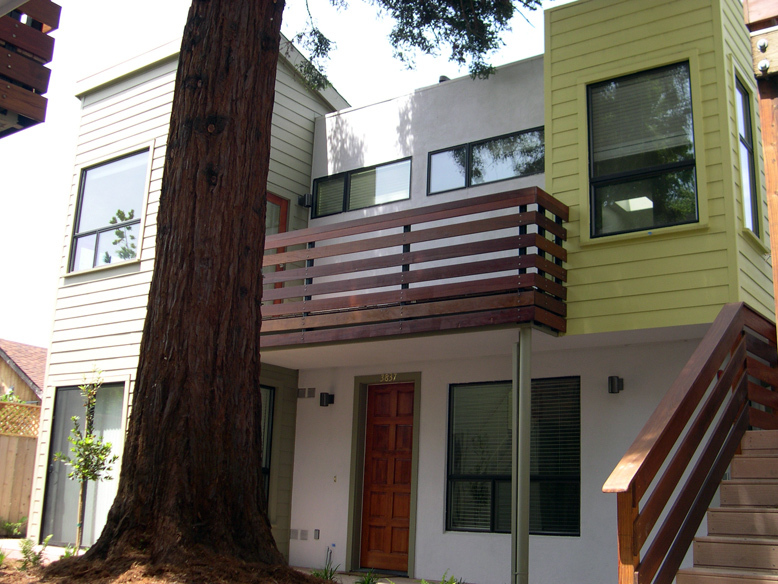 The cottages were arranged to allow an existing large redwood tree to remain and provide focal point for the shared courtyard. 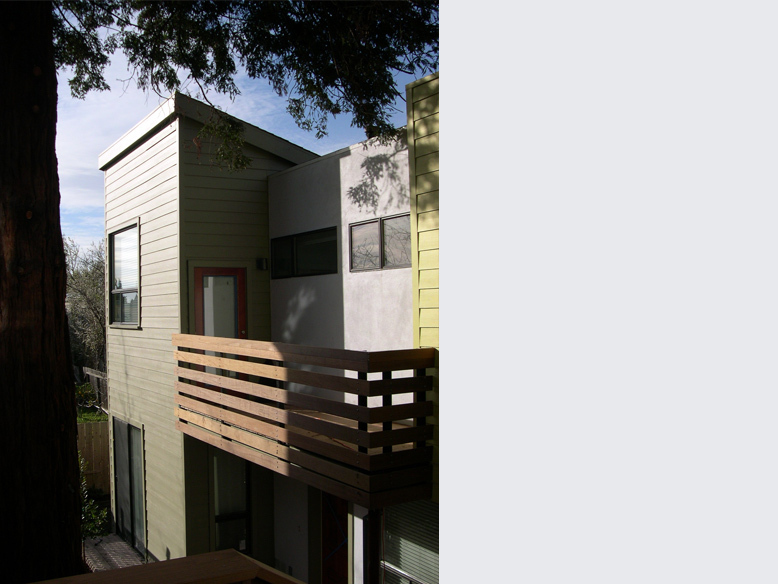 Residences are 2-story townhouse units with double height spaces and peek-a-boo views from upper bedrooms. 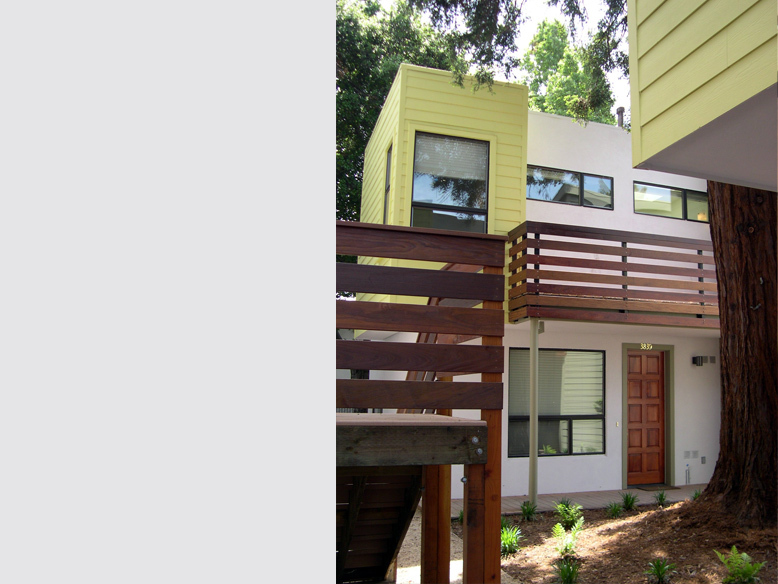 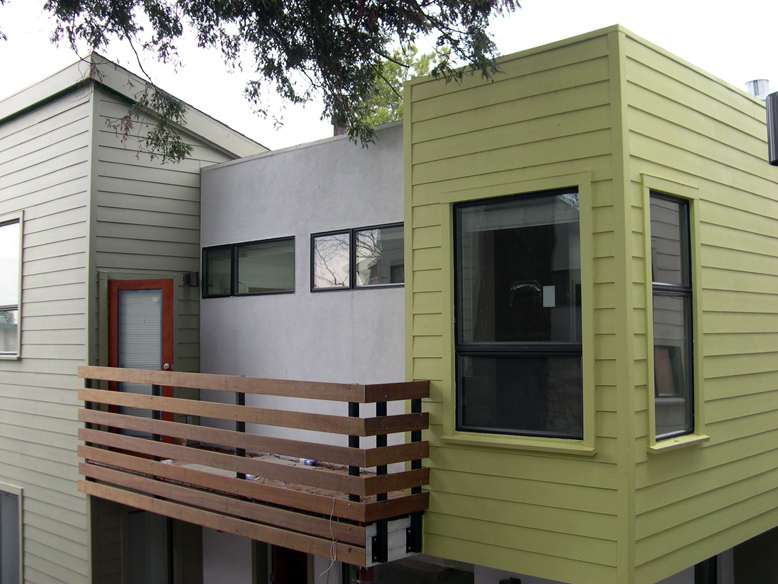 Each unit also have private cedar decks and patio access at each unit.